The scrapbook is a traditional technique that has grown increasingly around the world, as rescues in a personalized manner memories through photo albums or calendars that bring clippings, invitations, messages, poems, or any other material that can be pasted on your pages. 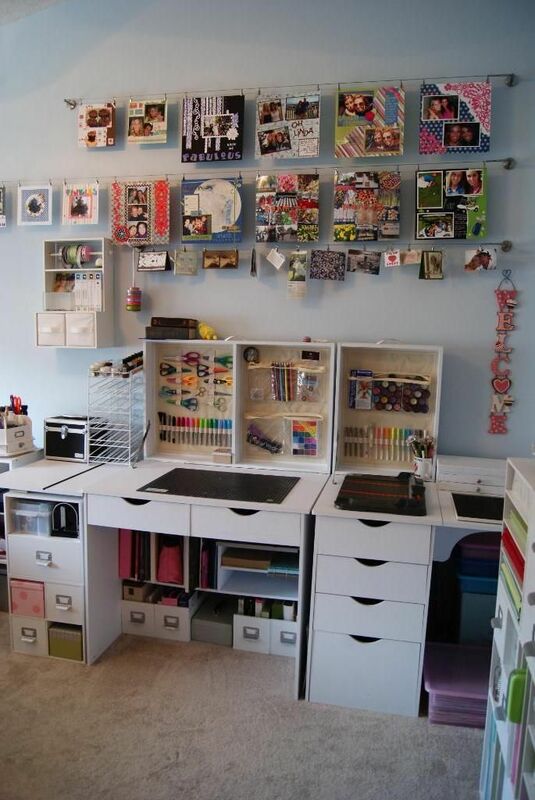 In order to maintain a favorable space for this technique, let us give ideas for the assembly and organization of a scrapbook studio. Who made this creative compilation was our partner Carol Moré of the twittered Follow the Colors blog. What used to be a hobby became a business, in addition to becoming a trend, especially in the market for parties and weddings. 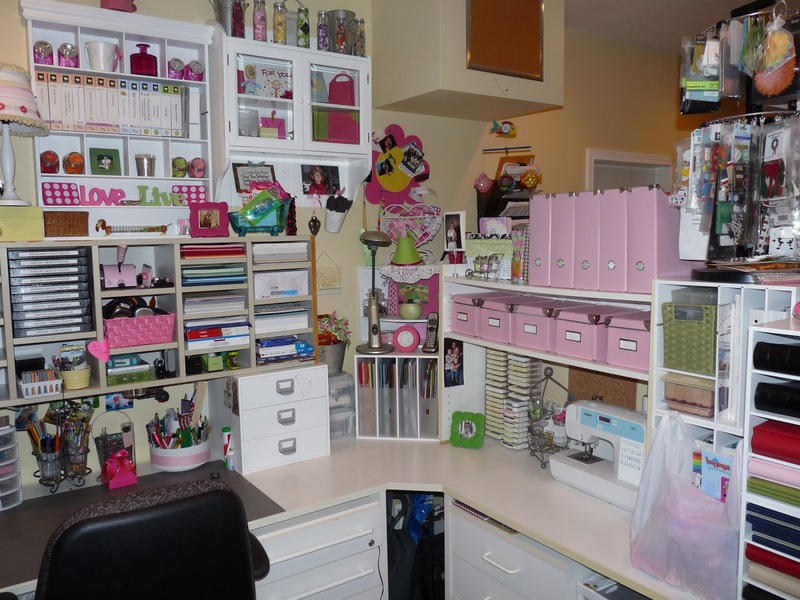 Anyone who wants to start working with this type of craft project or already has a space dedicated to it, knows that the working corner should, first of all, be well-being, in addition to being always clean and organized. 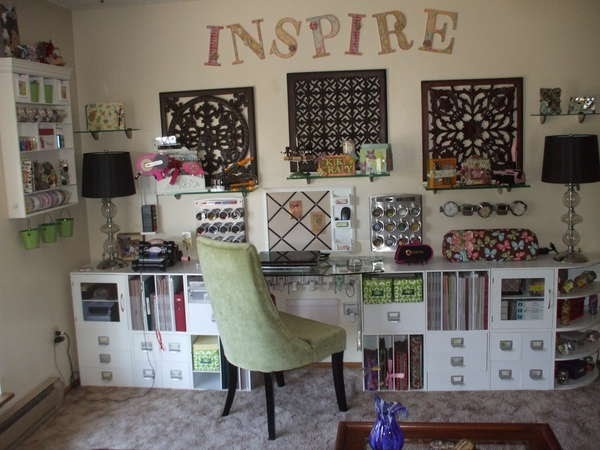 Other features like cheerful, warm, colorful are also important, but above all, your studio should be pure inspiration! 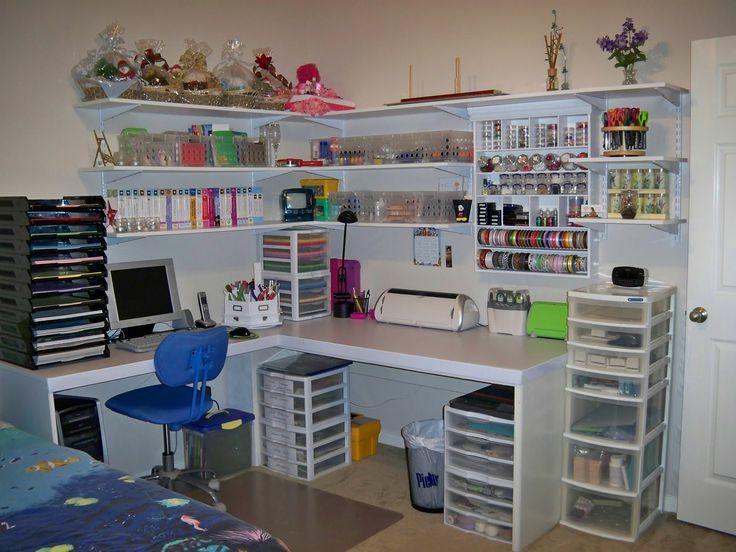 Since your workbench must have the tools that need to be always within reach, these types of materials are perfect for this to happen, since they allow the placement of various accessories, take advantage of the wall space and leave everything in your field of vision. The perforated frames are versatile because you can also change the position of the tools at any time you want! 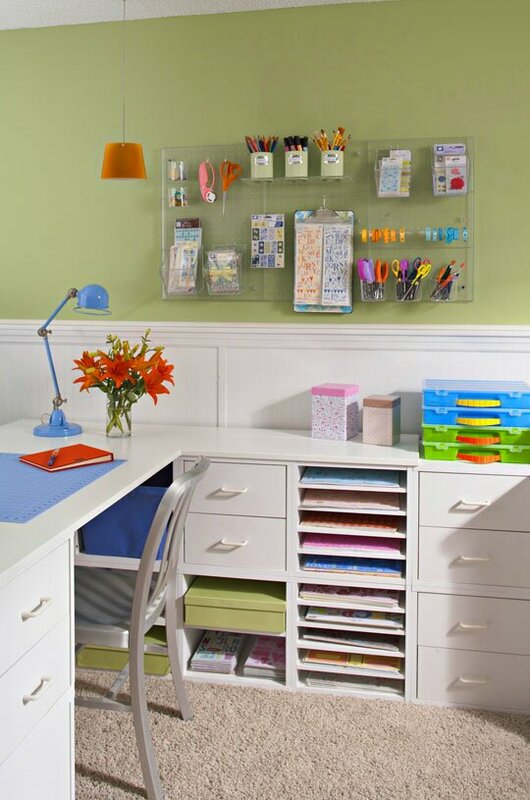 Depending on the type of work, scissors, punches and tapes have too frequent use and arranging them so may help. These panels are super versatile so you can fit baskets to hold small objects, hooks, pots and more! Each craftsman handles different materials and you have to think about the process of performing your parts to define a criterion and begin the organization by categorization. You can select materials by function, shape, texture, color, density, utility, frequency of use. 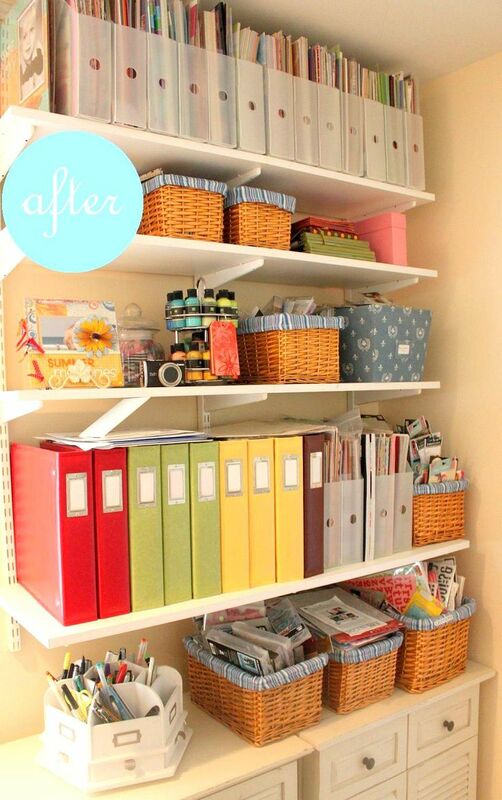 Provide organizers that hold this collection. Invest in that, because over time, temporary solutions (like a thousand boxes stacked) can help further disorganization. 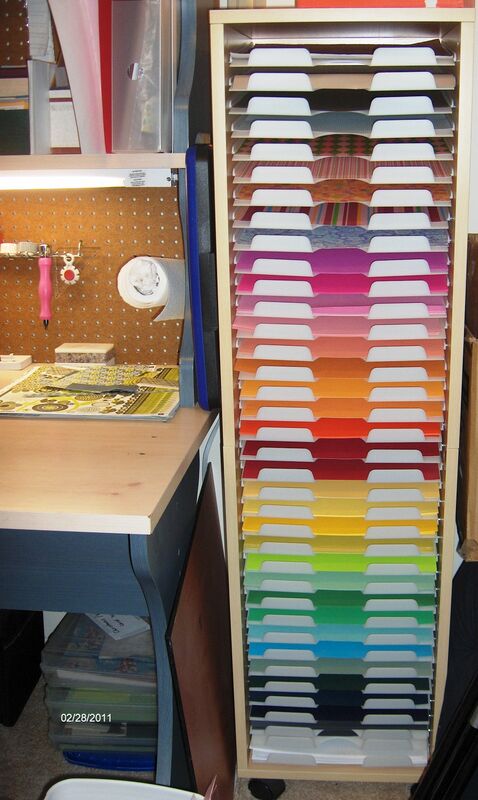 A very cool and easy way to organize is to separate everything by color. 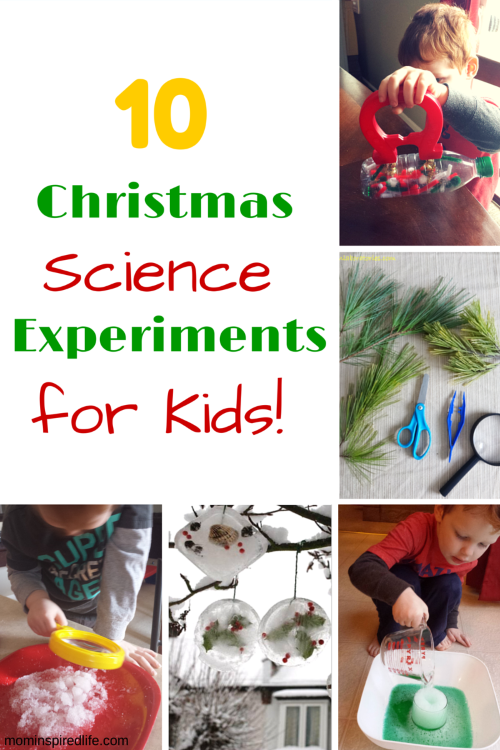 This can even become a theme for your little corner! Let’s start the organization in fact after identifying and categorizing the materials. 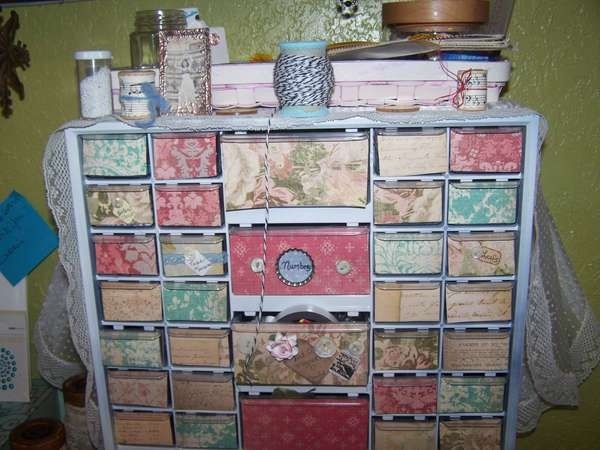 Boxes, niches, cans, glasses, baskets, shelves and drawers are wildcards at that time. Using furniture with shelves, different compartments and boxes leave the materials in order and make everyday easier. You can also give a new chance to objects that would be discarded-they can turn into treacherous door, pencil door or save offal. 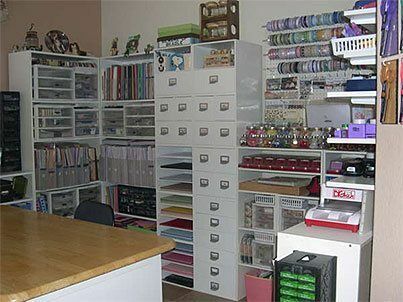 The appliqués and adhesives, for example, can be grouped into folders. Paper samples can be inside labeled plastic boxes, documents are inside drawers, and so on. 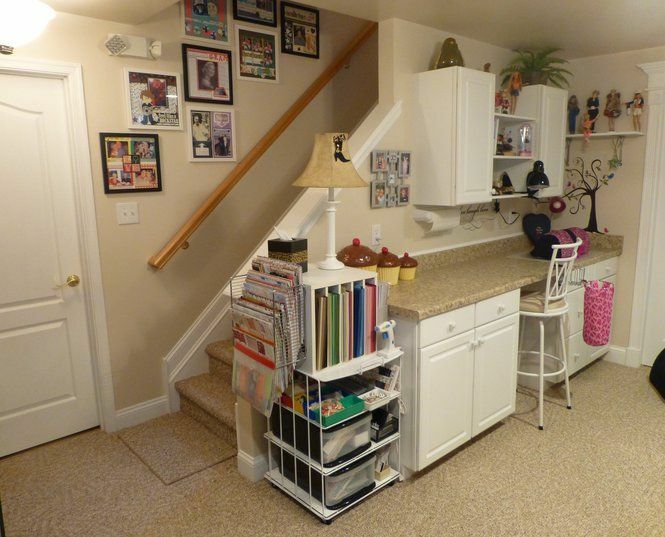 If you do not have much space, the ideal is to get to enjoy any corner! Follow the ideas of the furniture in the list above and fit in the best way. 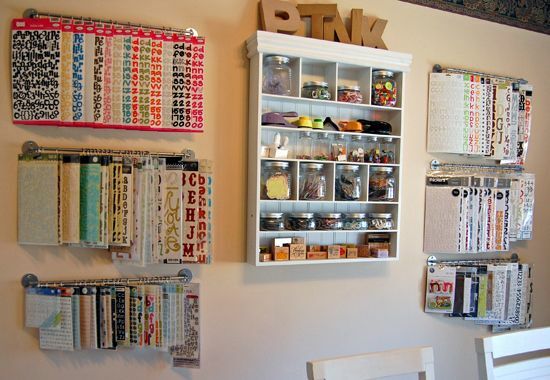 Consider organizing vertically by taking advantage of the entire wall of the room. So, are you excited to pack your own? There are several creative products to incorporate into your handmade projects with the technique: find it here.